"Well-written, absorbing, and a great pleasure to read . . . will appeal to Christians struggling to square their traditional beliefs with acceptance of homosexuality as well as to all those interested in adoption, lesbian marriage, and the changing shape of America's families." 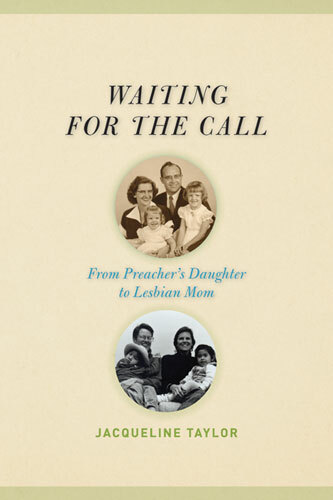 Waiting for the Call takes readers from the foothills of the Appalachians—where Jacqueline Taylor was brought up in a strict evangelical household—to contemporary Chicago, where she and her lesbian partner are raising a family. In a voice by turns comic and loving, Taylor recounts the amazing journey that took her in profoundly different directions from those she or her parents could have ever envisioned. Taylor's father was a Southern Baptist preacher, and she struggled to deal with his strictures as well as her mother's manic-depressive episodes. After leaving for college, Taylor finds herself questioning her faith and identity, questions that continue to mount when—after two divorces, a doctoral degree, and her first kiss with a woman—she discovers her own lesbianism and begins a most untraditional family that grows to include two adopted children from Peru. Even as she celebrates and cherishes this new family, Taylor insists on the possibility of maintaining a loving connection to her religious roots. While she and her partner search for the best way to explain adoption to their children and answer the inevitable question, "Which one is your mom?" they also seek out a church that will unite their love of family and their faith. Told in the great storytelling tradition of the American South, full of deep feeling and wry humor, Waiting for the Call engagingly demonstrates how one woman bridged the gulf between faith and sexual identity without abandoning her principles. Jacqueline Taylor is Dean of the College of Communications and a Professor at DePaul University. She teaches in the areas of performance studies, women's studies, and gender and communication. She is also the author of Grace Paley: Illuminating the Dark Lives. Her essays have been published in Text and Performance Quarterly, Southern Speech Communication Journal, and Women's Studies in Communication. Chapter 11: Are You Listening, God?